Nobody is more abreast to Jon Jones’ untapped potential than UFC president Dana White. Although the outspoken promoter knows he’s got a diamond in the rough – though it could be argued the 23-year-old is already bling blinging like a star – he claims the stud needs a lot more polish before he shines in a title fight. The Jackson Submission trained light heavyweight owns a 10-1 resume and has posted devastating finished in eight of those wins. His only blemish came in a controversial disqualification when he landed an illegal north-south elbow to Matt Hamill’s dome late last year. The youngster proved his mettle in his next outing by carving up Brandon Vera’s face with the vary elbow that cost him his only professional loss. There isn’t another fighter on the planet that carries as much hoopla as Jones does, however he’s remained humble and gracious throughout the way. Apparently, it’s a good thing Jones knows his place because according to White, his hottest prospect is nowhere near the top of the 205-pound totem pole. 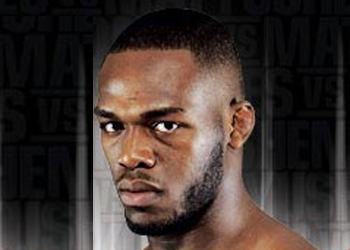 Jones will attempt to take his next step toward greatness tonight inside the San Diego Arena in Southern California. The live Versus broadcast kicks off at 9PM ET/6PM PT.